BillHustonBlog: David Cobb!! Thu (Endicott) + EMERG. 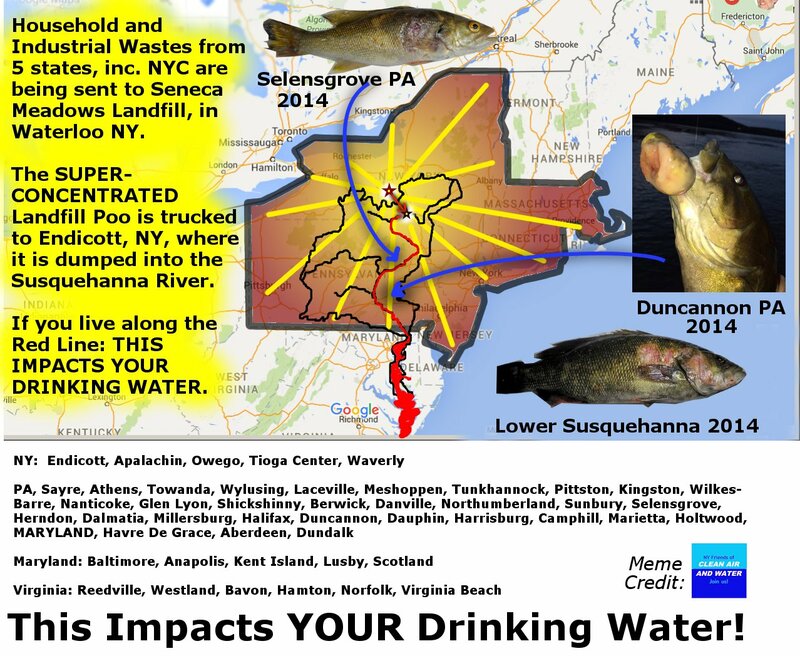 CALL Wed: Stop the Stink Trucks (tomorrow)! David Cobb!! Thu (Endicott) + EMERG. CALL Wed: Stop the Stink Trucks (tomorrow)! 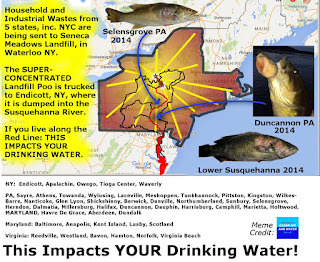 Event #1: You may know that since 2011, 80,000 of highly toxic landfill leachate are being trucked into Endicott each day, minimally processed, then dumped into the Susquehanna River. We are now 1/2 way through a 30 day comment periods. This program was done IN SECRET by the DEC, and now this will soon be legalized, unless we can stop it. We have an Emergency Conference Call coming up on Wednesday, (tomorrow) with Rachel Treichler, esq., and Professor of Chemistry from SUNY Oneonta Dr. Ron Bishop. The call will be: Wednesday July 13, 7pm., Dial-in Number: (712) 432-0075, PIN: 129056 Please help get the word out! The Concerned Citizens of Endicott have 15 Demands. Please come hear former Green Party Candidate for President David Cobb Thursday Night July 14 at 7pm at Mark's Cafe, 1412 North St., Endicott!! Free event (outdoors) unless it rains. He's a member of the National Leadership Team for the Move to Amend organization, which was formed in response to the Citizens United case. Are corporations people? Protected by Constitutional Rights? Is money the same thing as speech? How does this relate to elections? Should wealthy corporations be allowed to spend unlimited amounts of money to influence elections?